Glass brings together the characters and events of Unbreakable and Split, to create a superhero trilogy unlike any other. 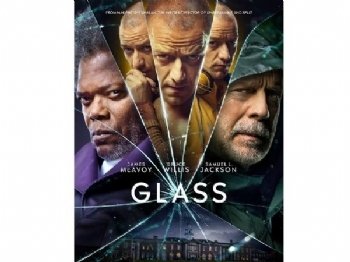 Glass is the latest film from director M. Night Shyamalan and follows the stories of David Dunn and Kevin Crumb, who come up against each other as Dunn pursues The Beast, determined to put an end to the superhuman nightmare. When the mysterious Elijah Price, aka Mr. Glass, reappears in Dunn’s life, the three men are forced to accept they’re part of something much larger – and it’s Mr. Glass who holds the secrets that could change everything.